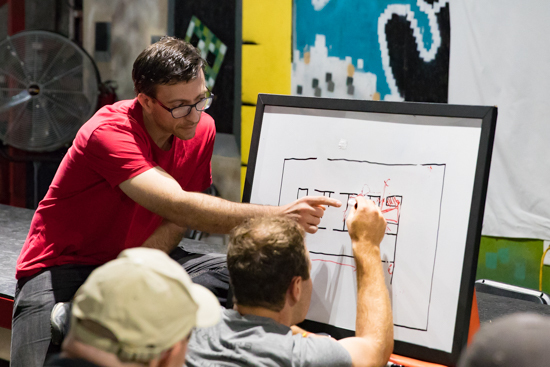 The 2017 Shivworks Armed Movement In Structures (AMIS) course in Pittsburgh has recently ended. It is always deeply fulfilling for me to work under the guidance of my mentor, Craig Douglas. For the first time in this course I presented a short block, about 30 minutes with Q&A, on live fire exercises for the shooting skills that are presented in class. The local training group has worked on this extensively and it has come up repeatedly over the years. While some of the work seems rather straightforward to me coming from a competition shooting background it was clear that for many shooters training in this way was not something they where acclimated to. My hope here is to clearly define a few options for these exercises and to communicate the concepts of skill isolation and focus in a way that allows translation into contextualized training. These are presented devoid of context, do not read into them as situational training. They are for the express purpose of isolating specific key attributes. The marksmanship required is not a high standard, do not try to make them harder just for the sake of making things harder, we want the focus to be on the skills as presented. If you need to fix your accuracy issues go shoot bulls, seriously. Let’s talk first about a few key attributes and their application. Simply put, you cannot deal with something you are unaware of. If its a shooting problem, we need to locate the target before we can shoot it. The AMIS coursework is intensely visual. The practitioner must seamlessly alternate between slow methodical clears where they are trying to pick out shadows and the tip of a shoe through multiple rooms and portals to sudden changes of focus into close corners or behind obstructions while moving. It can be a very high cognitive load, and many become overwhelmed at the level of detail and cannot process what they are seeing fast enough to make decisions. We must be able to call on explosive movement in a precise manner with sudden starts and stops. Footwork is key. The ability to break into a full gallop at a moments notice and brake on a dime is a key attribute that is expressed in context during in-extremis room entry, port and bypass on exposures, and limiting our exposure time in areas where the field of threat is unmanageable. We need to be violently agile on demand. When moving within a structure a high level of intuitive understanding of geometry is a key attribute. We need to be able to understand, to imagine, what the space beyond that door frame may look like. We need to be able to see a window and know where someone outside that window can see when they look into the room. We must understand how far into a space we can penetrate before we are ourselves exposed to uncleared space from off angles and where those lines connect. These exercises are designed to help strengthen those attributes within a shooting context. This set up allows the most variety of use and me and the crew work this heavily. Position A is the white barrel furthest up range, near the camera from this picture. Position B is the white barrel to the left, and C is to the right. A is 20 yards directly in front of a steel target , B and C are 11 yards to the front of the barrels from the target measured on the diagonal. B/C steel at 12 yards (rough shooters position behind barrel to target) is aprox to A zone USPSA hits at 7 yards if I recall my math correctly. If you need to change the distances due to range limitation or targets available keep in mind the focus of the exercise. There needs to be enough distance between positions for you to get into a full on run, and the target should be such that you can hit it at speed but not sloppy (from the near barrels think A zone at 7 yards). If you do not have barrels to use a target stand with cardboard targets attached to the outside left and right and one low in the middle for stability will work just fine. I really prefer to use steel B/C size targets for this or large pepper poppers. Immediate feedback and less time to reset lets me get my reps in efficiently. If your going to use paper I suggest using a negative target by cutting out the A zone of a USPSA target and reducing the range to a level that is appropriate to your skill level. If you need to stop dead in position and take careful aim to make your hits your not going to be working on the attributes we are focusing on here. If you cannot yet make the hits at all without either dramatically reducing range or stopping completely to take your time to shoot then the fundamental marksmanship issues need addressed first. We cant race before we can drive. this set up works exceptionally well with .22 conversion kits as we are not placing multiple hits on target and the focus is on the vision and movement. Starting at Position A, hands relaxed at sides, on start signal draw and hit target once from each station in order A-B-C-A , ending where you started. You must hit from each position before you can hit from the next one. The only metric we care about here is total time. What I am looking for is muzzle and gun orientation appropriate to direction of travel, ability to dig down and gain traction to accelerate with maximum effect, and ability to switch visual focus as needed and index as we move into position. Notice specifically as I move from B to C how I am looking first at the spot I will stop on the ground, then my head finds the target, I am looking THROUGH the barricade as I enter position and drive the gun. The up and down range movements allow me to practice both muzzle front and rear techniques, this is not just an artifact of a “180 rule”, I do want to practice from both positions. AMIS students will note that the up range movement mimics bypassing the “don’t shoot yet” and looking back while the forward movement will resemble the chase exercise that leads to port and bypass. This is the same focus as 1-1 but here we have made shorter lateral movement and we we get both left to right and right to left practice. As we have removed up and down range movement and only have the shorter range shots I expect extreme focus on absolute speed and agility. You should be panting for air after you run it a few time in a row. Starting at location B on start signal we will draw and hit from the left side of the barricade , then middle, then right. These movements should be less than 2 full strides but more than 1, the shooter should have limited space to move back so that he cannot keep the gun at extension. I want the gun to have to move in and out on the horizontal plane into each space. This gives us good visual practice of losing sight of and then regaining visual on the target as we drive the gun from a compressed position. I am hyper focused on the gun firing as soon as possible as it is presented and staying high through the movement. Starting at location B center on start signal draw and hit from center, then left, then right. This is not just a variation on 1-3, the one movement to the left is identical, but the key movement is from the left to the right. This is a short movement but long enough that the shooter can break off the gun turn the hips in the direction of travel and accelerate violently only to stop again while picking up the target. I’m looking to see the hips turn aggressively to the right then re-square as we present and the head to be up and looking for the target before the barricade is passed. I will continue with more exercises to address other aspects of the shooting problems presented in further posts. The exercises I am outlining are not ground breaking or new, they are just specially tailored to the specific demands of the environment. The core of practical shooting, Diligentia Vis Celeritas, keeps a strong focus on the base attributes so we have a strong delivery system in place when we need to apply them in context. For a great guide to this type of practice specifically tailored to practical shooting and dry fire I highly suggest Ben Stoeger’s books. For those familiar with the Shivworks coursework I have often said that ECQC should make one want to do jiu jitsu and wrestle , EWO should make one want to box and wrestle, and AMIS should make one want to shoot USPSA. 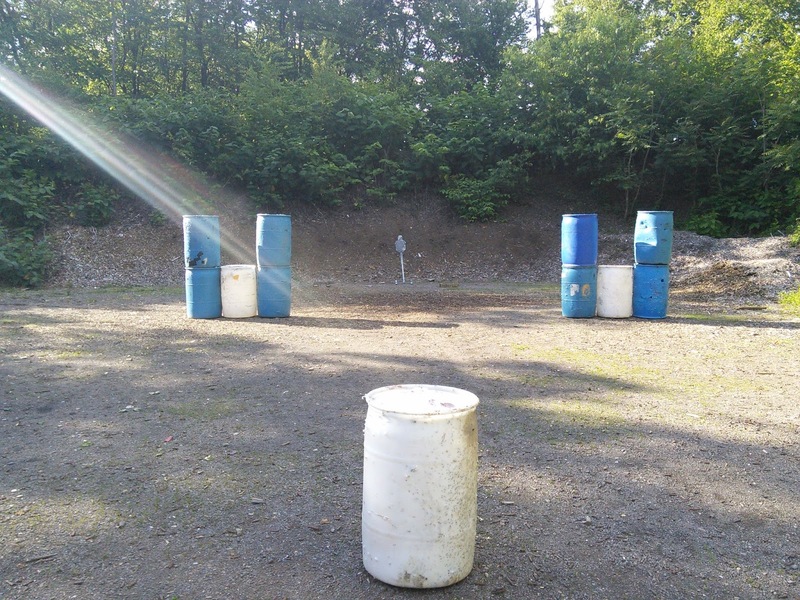 To put it plainly if you want to be able move, shoot, handle your gun, and place rounds on target with accuracy reliably then competition shooting as expressed in USPSA is hands down the best way to practice those foundation skills. If you strip away the politics and opinions and focus cleanly on performance the path to follow becomes clear. The practitioner must come face to face with the truth. Only performance matters. It can be both the attractant and repellent to realistic opposition based force on force on training to many people. Its up to them what to do with that knowledge. Practical shooting is but one piece of the full canvas.